Hola Amigas. I think Jack Frost has arrived. It's COLD! I have been getting ready for craft fairs. How about you? 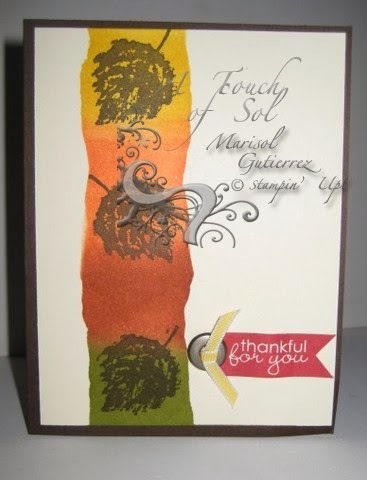 Here is one of my simpler cards that I absolutely LOVE! Wasn't sure how I was going to feel about it...but LOVE IT! What do you think? Do you like it, too? Hola Amigas! 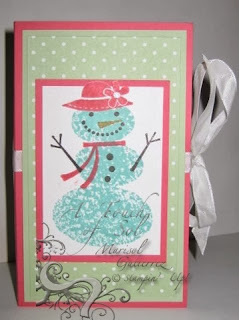 Welcome to Creations by AR's Holiday Customer Blog Hop. I am featuring the new Gift Card & Combo template. 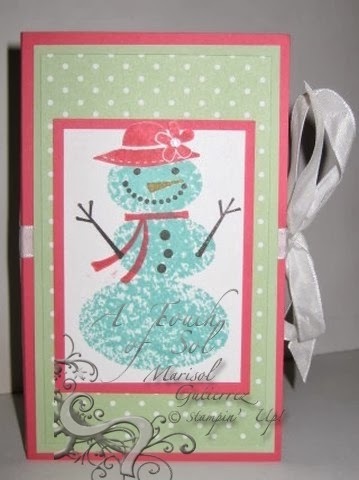 This is a template of a card with a built-in gift box! 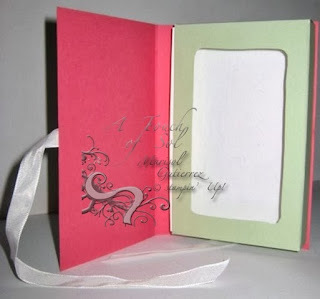 Open the "card" and inside you'll find a framed slide-out box. Great for just about anything that can fit inside, like sweets, jewelry, gift card, mini scrapbook and so much more! I decided to fill mine with Rainbow Loom earrings for all my mini crafty chicas. They are all 8 years old and come to class once a month. They will love the package just as much as the earrings. The templates are GREAT too; they come in SVG cutting files as well as PDF. 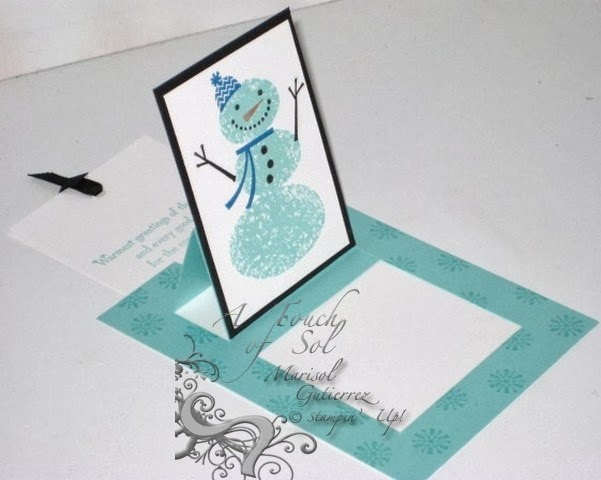 There will be one blog hop prize (winner's choice of template). We will have a mystery blogger so please leave comments on each of our blogs. Comments will be accepted through midnight EST time on Saturday December 7th. 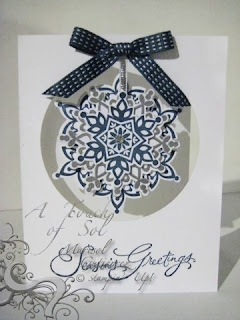 The Blog Hop winner will be announced on Sunday December 8. on the CbyAR Facebook Page and PCP group, as well as on Lisa's Blog. NOW it's time to see Lisa's artwork. ENJOY! Hola Amigas. Happy Monday! We have a new challenge for you to play with. 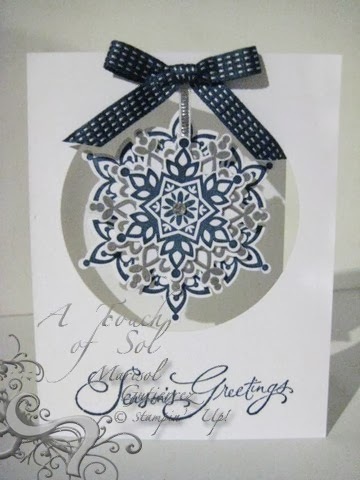 For the next two weeks we would love for you to share your Non-Traditional Holday Cards. That means no GREEN or RED! 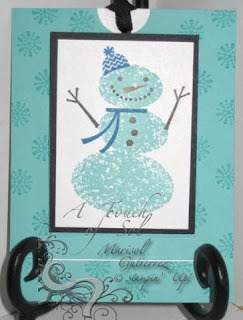 Have you played with the Snow Day Stamp set yet...TOO CUTE! I made a pull card with this one. Here is the card when you pull the ribbon on top...LOVE IT! and you can personalize the bottom. Thank you Dawn for reminding me about this interactive card. I can't believe we are already in December. Alright, on your mark, get set go! Share your artwork with us on LNS Challenge Blog. 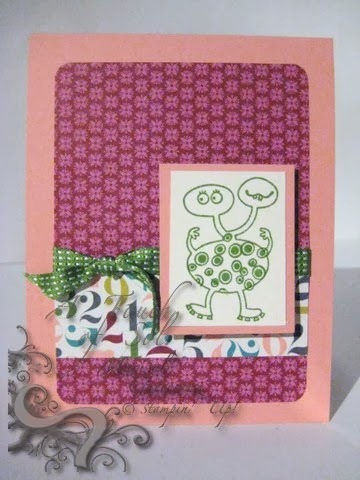 Hola Amigas...I am full speed ahead crafting fun gifts and greeting cards to display. Here are cute mini snowman hand sani holders...TOO CUTE! 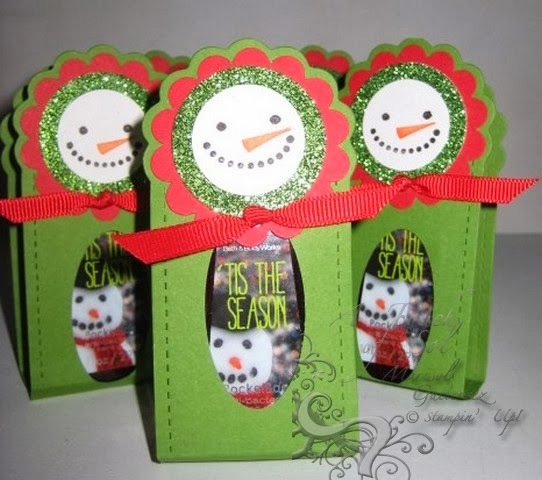 These make great gifts for classmates, teachers, co-workers, stocking stuffers, etc. I hope everyone enjoyed their Thanksgiving! Did you brave for Black Friday sales? Stay Warm! Hola Amigas. It's time for a new challenge. For the next two weeks the LNS Challenge DT wants to use your punches. 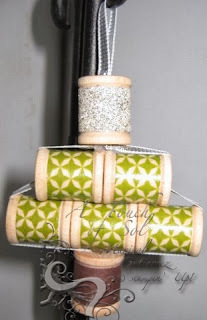 Here I used both the 2 1/2 circle punch and 1 1/4 Square Punch (retired). 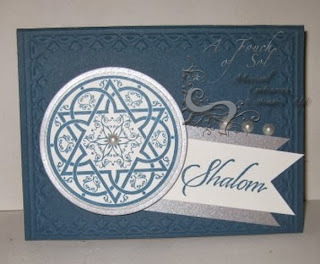 The Jewish Celebrations stamp set was on the carryover list. YEAH! I made a variety of 19 cards for Joaquin's kindergarten classroom. The students will write inside and mail them to Holiday Mail for Heroes. I hope you are enjoying these last beautiful days before it gets really COLD! We spent a BEAUTIFUL FULL day at Rutgers University on Saturday. The day was GORGEOUS! We say the footbal game, went to dinner and then saw a movie. Solimar and Joaquin had a blast on campus. Alright time for you to get inky and use your punches. Looking forward to seeing your artwork! Hola Amigas...How are you buzzing? 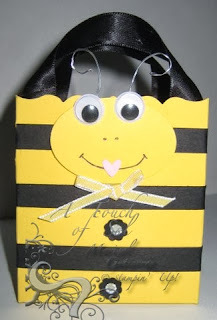 I made this cute Fancy Favor Bag for Joaquin's Fave Kindergarten Teacher. He had a one track mind on Halloween to get as many Kit Kats for her. He filled the bag up with about 10 that he found...too funny. Her name is Mrs. Stinger and her room is decorated with Busy Bees...so this was perfect. Hola Amigas! How are you today? I love to show the teachers my appreciation for them and all they do for Solimar and Joaquin. 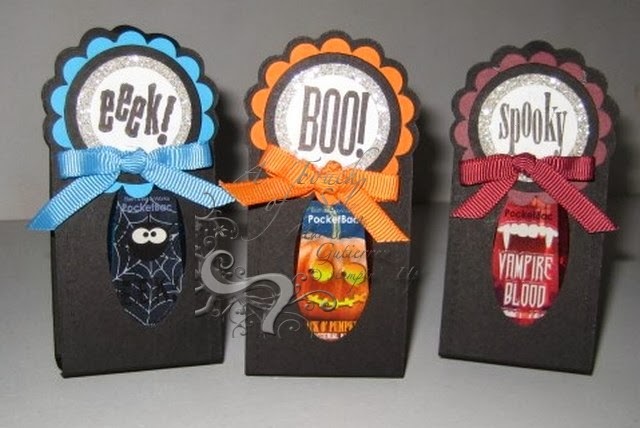 For Halloween they gifted some AMAZING staff members with these Mini Hand Sanitizers. 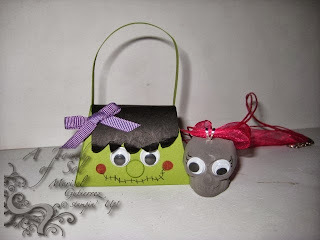 SO CUTE and EASY to make. I will be making some winter holiday ones too. On Halloween it was such a beautiful night and now its BRRR, very cold. How is it in your neck of the woods? Hola Amigas. How are you today on this BRISK Monday Morning? 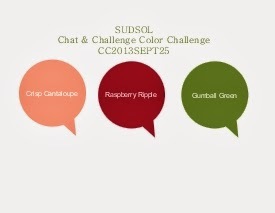 For the next two weeks the LNS Challenge will be a color challenge...Love these REGAL colors. They definitely scream FALL! I am sharing a Faux Tearing technique with you. SUPER EASY. Looking forward to seeing your artwork. Hola Amigas. 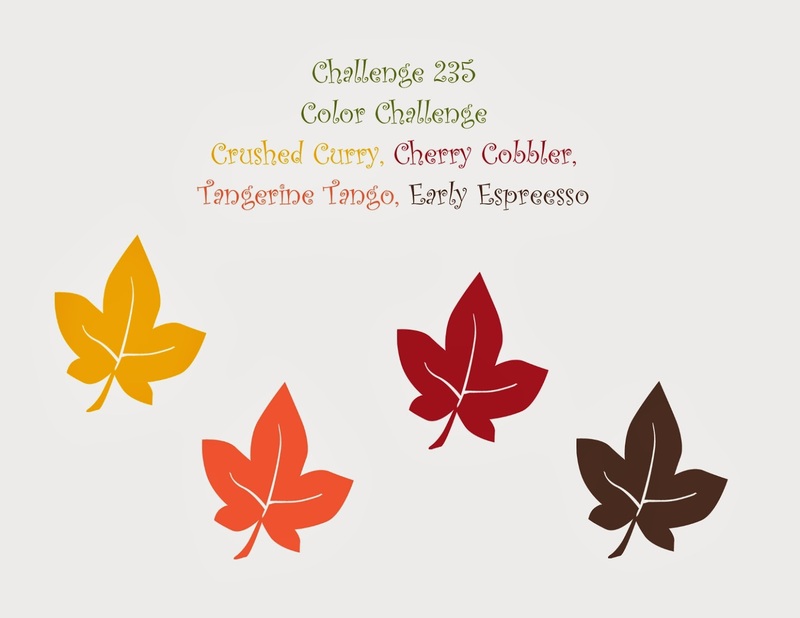 For the next two weeks the LNS Challenge is Fall into Fall. 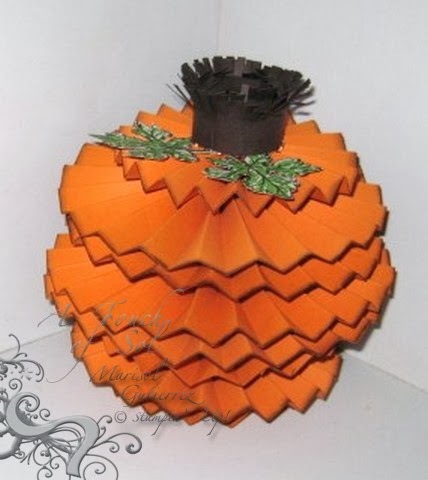 I know you can feel the air cooler, the leaves are changing color and smells of pumpkins and apples and all the yummy spices...For me I made this pumpkin or lack there of...What do you think? I hope you will play with us over at the LNS Challenge Blogspot and share your Fall Artwork. As for me. I have had the flu for four weeks and am FINALLY feeling relief. I have been baking apple and pumpkin muffins. My kiddies have picked their Halloween costumes....and guess what even the hubby is going to dress up this year...I know SHOCK! GASP! Hola Amigas. It's a rainy and cold day here in Jersey. But we are sharing Halloween Treat Holders at LNS for the next two weeks to brighten everyone's fall weather days. I made Miss Frankie using the Petite Purse Die. I made the skull necklaces for all the girls in Solimar's class. I used Stampin' UP!s Simply Pressed Clay. TOO CUTE! I just have to add a little bow and they are DONE! I hope you will play along with Challenge 233. I would love to see your artwork! I would love for you to play along. If you are not a SUDSOL member here is a link for a FREE 2 week trial.